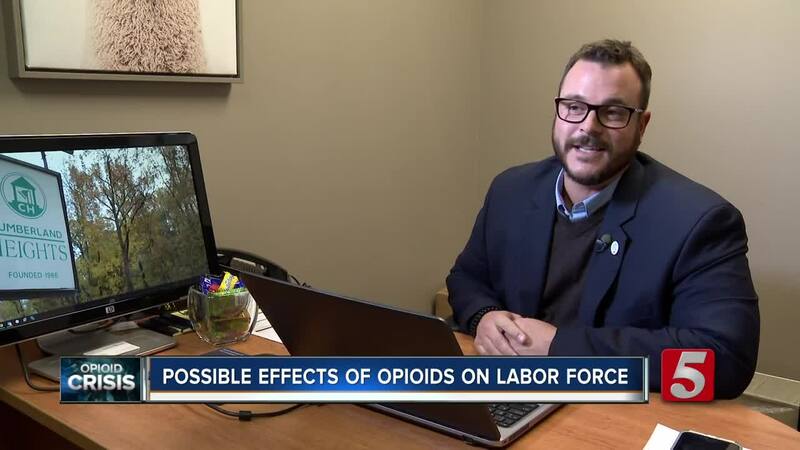 A recently released study co-authored by economists at the University of Tennessee found prescription opioids may be negatively affecting labor force participation and unemployment nationwide. The study, published in The Journal of Human Resources, looked at data from counties across the country, and found that a 10 percent increase in opioid prescriptions led to a drop in labor force participation by six-tenths of a percentage point. As a result, unemployment rates have slightly gone up by one-tenths of a percentage point. Tennessee leads the country as one of the states with the highest rates of opioid prescriptions. As a way to knock down the number, state and federal officials have implemented limiting the amount. The study on the effects of opioids on the labor force is a first of its kind to be published in a peer-reviewed journal. Labor force is the amount of those who are employed and the unemployed looking for work. The study came as no surprise to Tyson Stark, the director of business development at the treatment center Cumberland Heights. Stark had a successful career in the hospitality industry but his addiction to opiates spiraled his life out of control. "I was employed there for 8 years and started using opiates and lost the job and everything within 18 months," said Stark. Like many, he began after being prescribed to opiates by a doctor following a minor accident, and eventually turned to the streets. "I couldn't get up and get out of the bed and move through my day without some kind of mood or mind-altering substance," recalled Stark. "That's when I realized we got a problem here,"
Stark eventually couldn't support his habits, lost his job and moved in with his parents. In the span of two years he would bounce between 15 jobs before he finally received treatment. "The reality is you got to take care of yourself first," he added. "It's like triage we got to stop the bleeding." He could safely estimate that he lost half-a-million dollars in treatment, legal fees and missed work. The study revealed by lowering the amount of opioids, Tennesseans could see an increase in income. “The results suggest that in Tennessee, you could effectively boost income among residents by $800 million per year if you reduce opioid usage 10 percent,” said UT's Boyd Center for Business and Economic Assistant Professor Matt Harris. The study also said that "the detrimental effect of prescription opioids on labor markets holds true for both rural and non-rural counties." It said prescription opioids have the strongest adverse effects in counties with higher labor force participation rates and lower unemployment rates, suggesting that opioid-related damage has already been done in areas with low labor force participation. If you need help seeking treatment for addiction, click on this link to visit Cumberland Heights.